Welcome to DMC Magazine! It’s been a crazy two years for you, with massive collaborations with ALOK and Tiesto that have really put you in the spotlight. Have you only been producing for two years, or is there a longer history there? 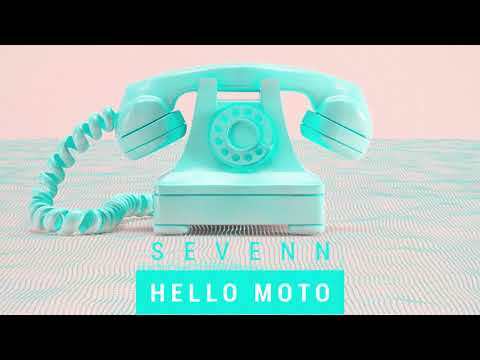 Your latest single ‘Hello Moto’ is a pretty big divergence from tracks like ‘BYOB’ and ‘BOOM’. Surely that’s a big risk for such a new act, straying away from a sound that you know is hitting all the right notes? Why did you decide to go down a heavier route? We’re always risking new things and trying different things, I think our fan base knows that and respects us for that. We’ve been playing so many festivals and bigger parties we felt it was the time to put out something heavier that we could play both at festivals and clubs. It’s a heavier bigger us. Who are your musical influences when it comes to producing? Sean started Djing at underground raves back in 2006, so his influences range from progressive artists such as Sesto Sento,Astrix and Day Din to edm artists like Deorro and Quintino. I (Kevin) didn’t like electronic music until Sean showed me Zedd back in 2013. He’s definitely been my biggest influence since. What’s in your studio? What would you like in your studio? Being that we grew up in studios and we’re constantly on the road, we sold most of our studio equipment back in 2016 in order to be more mobile. Right now we have a couple guitars, a piano, mic and Event 20/20s from the 90’s (Best speakers you could ever get your hands on). We do often head to Aloks Studio for mixing and mastering, but only when we have time. 90 percent of what you hear was recorded in hotel rooms and mixed and mastered on planes. Tell us more about your production process? Who does what, how do you prefer to work together? Kevin, we read in another interview that you used to produce “progressive symphonic Disney metal”… we’re not going to lie, we’re intrigued! What is “progressive symphonic Disney metal” and is it a genre we should be on the look-out for?? (LOL!) Well to be completely honest the genre was the strange brainchild of all the things I liked most in music. We grew up quite secluded in a missionary community, not being allowed to listen to music that wasn’t made by the group. We were only allowed to listen to certain things (disney, broadway, Orchestral and country music to be precise) that lead to the madness that was the first 10 years of my music production. It’s on my personal soundcloud if you want to have a listen. You’re brothers – how does that help the creative process and are there any ways you feel it hampers it? Oh it definitely hampers it! But that contrition is part of our creative process, leading us to step outside of our comfort zones and reach into uncharted territories. If we had the same ideas about music i don’t think we would work together this well. You have some big Asian dates coming later this summer – what’s the scene like over there? Are there any venues in particular that you could recommend we go to and why? Asia is wild; they like it hard! Lots of trap, edm, anything heavy and loud. Recently we played « Bone » in Pattaya, Thailand; one of our funnest shows yet. Not to mention face club in Shenzhen, such an amazing reception and such cool people. Brazil is your biggest market so far which we’re guessing has a lot to do with the ALOK connection. How instrumental has he been in your rise? If it weren’t for Alok we wouldn’t be here for sure; he’s like our brother and father at the same time. Such a nice guy, incredible energy. What’s the reaction like from fans back home in the US? Is that a market you’re still yet to crack or can you feel your profile on the rise there? Definitely on the rise! I think the US is always looking for something fun and new. We try to keep our sets as dynamic as possible, especially since Americans are such avid music listeners. It’s always a challenge to deliver something they’ve never heard. Have you played in the UK yet? If not, where would be your dream to get on the billing here? We’re dying to play the UK! Every time we’ve run into to UK citizens on our tours around the world we’ve always had the greatest time playing with them and partying with them after gigs. We’ve heard so much about Fabric and Ministry of sound; to hit those decks would be a dream come true. What have you got planned for the rest of the year? Any musical exclusives you can let us in on? We’re touring absolutely non stop, hitting every continent for the second time this year! We’re releasing a trap song at the end of this month called « summer dont lie » with me (Kevin) Singing on it. Expect huge collabs and two releases a month!